French double bass master Joëlle Léandre is known as a unique and innovative free-improviser who keeps expanding the sonic palette of the double bass, but has rarely focused on the field of orchestral composing. 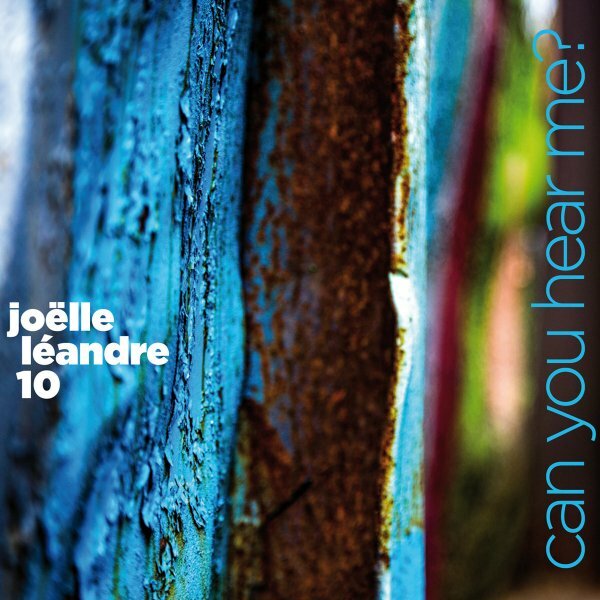 Her major composition so far is “Can You Hear Me?”, dedicated to Léandre parents, written for a tentet and premiered in the 2009 (and released as Live at the “Ulrichsberger Kaleidophon”, Leo Records, 2011). As on the previous recording this composition reflects on Léandre past collaborative work with iconoclast composers as John Cage and Giacinto Scelsi, but echoes her forty years career and integrates elements of free jazz, free improvisation and some that are more common with noise and even prog rock. But it is not a nostalgic work. Léandre structured it as a 9-untitled pieces suite that make full use of the rich and colorful language of the tentet, constantly generating and encouraging individual, imaginative interpretations from all the musicians. The tentet deepens the atmosphere of an organic, collective chaos, but at the same time Léandre navigates the myriad musical events into a cohesive narrative. Léandre takes the lead only towards the end of the composition, first with an expressive, lyrical double bass solo on the seventh piece, then singing in theatrical, operatic voice on the eight-piece, transformed into suggestive and hypnotic chanting of syllables on the last, ninth piece. The debut recording of Can You Hear Me? sounded more ecstatic and urgent. This version emphasizes its subtle language and the clever metamorphoses between the different parts. Both highlight the absolute musicality of Léandre, one-of-a-kind individual and both are highly recommended.